There has been an unusual level of activity involving automotive sector patents in the past few years. Here at IPWatchdog, we first started noticing this trend with the June 2014 announcement by Elon Musk, CEO of Tesla Motors (NASDAQ:TSLA), that his company would not enforce its patent rights on any of its patents, essentially open-sourcing its electric vehicle (EV) technologies. Not to be outdone, Japanese automaker Toyota Motors (NYSE:TM) created a cost-free licensing program in January 2015 for thousands of its patents related to hydrogen fuel cell vehicles. Last June, we covered the continuing decline of the “not invented here” bias in the auto industry which was evidenced by a decision by Ford Motor Company (NYSE:F) to begin facilitating the licensing of hundreds of its patents and patent applications, much of it related to EVs. It’s in this atmosphere that Eagle Harbor Holdings, LLC (EHH), of Rolling Bay, WA, is looking to chart a course forward on the sale of a patent portfolio related to connected vehicles and autonomous cars. Beginning this week, EHH will be seeking out prospective buyers for a portfolio with 74 total assets, including 42 patents issued and 17 patent families. Last January, we noted how Eagle Harbor Holdings had amassed the second-largest portfolio of patents related to self-driving and autonomous cars, only trailing high tech developer Google in that field. Eagle Harbor was formed in 2010 by the father-son engineering team of Dan and Joe Preston. Their work in the field extends at least as far back as 1997, when they formed the vehicle tech development firm which became known as Airbiquity. Early patents assigned to that company focused mainly on improvements to the OnStar vehicle communications system developed by General Motors (NYSE:GM). Airbiquity created technology which allowed OnStar to communicate with all of the world’s cellular telephone networks, including CMDA and GSM, and not just attempt communications on an analog network. The Prestons would leave Airbiquity in the early 2000s and form Medius Inc., which would go on to develop middleware for vehicle infotainment and telematics units, especially technologies for connecting a mobile device with a car. Beginning in 2001, the Prestons and Medius identified numerous areas of unresolved issues that would eventually emerge in vehicle-based systems, focusing heavily on low-cost systems for autonomous or precision control as the goal. Many of these patents have since been litigated in court proceedings which validated a significant portion of the portfolio; according to materials on the EHH portfolio put together by Tynax, the patent brokerage firm handling the portfolio sale, of the 135 claims litigated, only one was invalidated due to lack of written support. In the past, EHH had sued Ford over the latter’s use of technologies involving mobile device management, audio device management, failure detection and more. “We are happy to say the litigation between Eagle Harbor Holdings, LLC and Ford Motor Company has been settled,” Dan Preston said. “All claims and counterclaims in the litigation have been dismissed with prejudice. The terms of the settlement are confidential.” During the litigation, Eagle Harbor Holdings had sought damages of $285 million, including royalties of more than $90 per vehicle. More value is added to this portfolio with an unusual collection of standard-essential patents, patents protecting a technology which is required to be licensed in order to practice a standard like Bluetooth or IEEE 802.11 for wireless connections. The EHH portfolio claims a priority date of April 24th, 2001, and because the Prestons were forward-thinking on the idea of which wireless technologies would need to be developed to answer issues involved in vehicle communications, they actually patented technologies which later became foundational aspects of certain standards. One such standard is Autosar, which stands for Automotive Open System Architecture and is a globally developed standard for the basic software functionality of engine control units (ECUs), addressing the growing complexity in automotive electrical/electronic (E/E) architecture. EHH also holds technologies relating to IEEE 802.15 for Wireless Personal Area Networks (WPAN), also known as Bluetooth, as well as IEEE 609, formerly Wireless Access in Vehicular Environments (WAVE), which governs functions involved with vehicle-to-vehicle (V2V) and vehicle-to-infrastructure (V2I) wireless communications. According to Dan Preston, EHH holds about 20 such patents which are required for practicing these standards and he gives a great deal of credit to a team of advanced systems engineers which came over to his company from aircraft developer Boeing (NYSE:BA). “As it turns out, we described in 2001 what you would know as Secure Simple Pairing,” Preston said; this technology, also known as SSP, is a feature of the Bluetooth Core Version 2.1 specification and as the title indicates, it’s designed to enable secure and quick pairing of Bluetooth-enabled mobile devices. What makes EHH’s patents more unusual than typical standard-essential patents is that they protect foundational aspects of these standards but EHH never petitioned to have these technologies included as part of these standards. As such, they’re not subject to the same fair, reasonable and non-discriminatory (FRAND) royalty agreements to which other standard-essential patents must adhere. 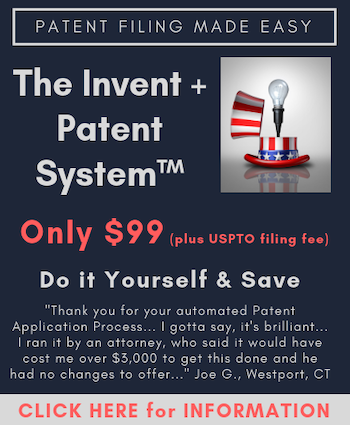 One such patent covering a technology which later became part of a wireless standard is U.S. Patent No. 7778739, titled Method and Apparatus for Dynamic Configuration of Multiprocessor System. Issuing in 2010 after the patent application was filed in August 2006, this patent protects a system having multiple on-board processors operating within a vehicle where multiple on-board processors are coupled together through multiple links into a multiprocessor network which is configured to operate a transceiver that detects and establishes communication between a processor in the multiprocessor network and a device brought into the vehicle, selectively connect the device to the multiprocessor network, use a data manager to identify a particular type of data used in the device and processed with a first software application, identify a second software application processing the same type of data from multiple applications located in a memory in the multiprocessor network, use the data manager to select a particular processor for operating the second software application, automatically move the second software application from a multiprocessor network memory to the selected on-board processor, configure the processor to run the second application and initiate processing of the data from the device with the second software application. This multiprocessor system, clearly a mobile device pairing system involved with standards like Bluetooth, was designed to increase the options that vehicle operators and passengers have in incorporating mobile computing devices with vehicle processors. It’s not just the automotive sector where the EHH patent portfolio has very valuable applications. As we’ve reported here on IPWatchdog in the past, Bluetooth is a wireless standard growing increasingly important with the advent of the Internet of Things (IoT) sector. Although the Prestons developed their technologies for automotive platforms, there are obvious implications for those technologies in the wider field of IoT. A graphic presented in the Tynax report on the EHH portfolio show that a significant portion of the portfolio being marketed has applications in home systems, including entertainment, communication and sensor systems, as well as general mobile device technologies. As Preston explained, these technologies make it so that little clients for end user services can run more robust applications because the bulk of an application’s source code can remain on cloud servers. “We have a series of patents from 2001 that give the client or application a little bit of intelligence on how do you manage a device, how do you manage data, how do you manage computing priority, things like that,” Preston said. According to David Smith, CEO of Tynax, the brokerage firm will work with Eagle Harbor Holdings to identify potential buyers, which could include anyone from automakers to high tech firms to non-practising entities (NPEs) looking to earn money by licensing these technologies. “We’ve been in business here at Tynax since 2003, currently offering more than 30,000 patents for sale, but I have to say that this portfolio is the most compelling yet to come across my desk,” Smith said. “It’s an ideal scenario to have patents that everyone needs to practice [a standard] but there are no FRAND obligations attached to the patents,” he added. “The reality is that the standard grew up around our patents, we had described it before any of this ever happened,” Preston said. “If you’re using the standard, you’re probably using our patents.” However, getting industry clients to invest in the technology has been difficult for EHH to produce on its own because, although use of the standard likely constitutes infringement of EHH’s patents, those patents aren’t part of the standard itself. “How does a guy like me sell to an industry when they’ve already bought it?” Preston asked. He added that the portfolio could likely be better used defensively than offensively. Smith indicated that the entire portfolio could be valued at eight figures, although an official valuation was not available at this time in large part because there is little available on the patent market that would offer any clue as to comparable value.